Last night the MTV Video Music Awards returned to Los Angeles. The very first awards show to be held at the new Forum. I suppose they didn’t disappoint. Well, aside from the lack of One Direction, but we don’t even have to get into that. The pre-show was a wreck and the ceremony itself was one really long product placement. I’m thankful they no longer employ one host for the occasion. They are always given the grunt of this unsuccessful award show. This years event had plenty of interesting moments. Kim Kardashian revealed she is friends with Sam Smith which leads me to believe Mr. Smith doesn’t exactly have the best taste in friends. Katy Perry decided to wear a Britney Spears denim outfit (which apparently was a challenge of some kind?). Every performance was labeled as “can’t miss,” but at the end of the night there was truly only one performance I couldn’t miss. In case you didn’t follow along with my unnecessary livetweet, here’s some of my thoughts on the show. The MTV Pre-show: I’ve never understood the need for televised red carpet preshows. This year, for some reason, they decided to create a tiny, tiny aisle way surrounded by fans on both sides. I guess they forgot how loud screaming girls are and many, many of their interviews were muffled and obnoxious to listen to. It also made all of their interactive social media Google hangout-esque videos completely useless. Jessie J, Ariana Grande, and Nicki Minaj: Grande Latte and her space age themed performance of Break Free. Nicki Minaj came out with her whole anaconda bit (5 Seconds of Summer had the best reaction face) sans actual snake which is probably for the best. And finally there was Bang Bang featuring all three. The buzz they were trying to create ultimately fell flat. Sure, Bang Bang is a great tune and these three have absolute powerhouse voices, but the performance was unforgettable. That is unless you care about that embarrassing wardrobe malfunction by Nicki Minaj. Taylor Swift: Every year I have to do my little bit on Ms. Swift. This year she performed her new song Shake It Off. Her performance was happy-go-lucky (much like the song) and extremely tame. Her red carpet look was unfortunate, but her on stage look was much better. As much as I love Shake It Off, homegirl needs to stop attempting to dance. But since she’s gonna keep ‘dancing on her own’ might as well go on with your bad self girl; keep being you. One thing I really appreciated during the performance was her calling out the snake bite that happened in rehearsals. Taylor doesn’t need a cheesy gimmick, but that dancer she thought had “hella fine hair” doesn’t. I’ll show you a fella with some hella good hair. Trust me, this guys hair is so so much better. 5 Seconds of Summer: This was my favorite moment of the VMAs. Not only did they win a fan voted moon man in the pre show (and act like idiots while accepting it) but they performed their song Amnesia. Amnesia is an amazing song. It was refreshing to see real music back on the VMAs. I’m talking play their own instruments and have actual emotions music. Luke was welled to tears and it was perfect, touching, and so humble. I would they much rather they won the Artist to Watch award over Fifth Harmony. I don’t care about the history or the record-breaking they did (they were the first girl group to win a VMA since 2008 or something), I think 5SOS makes great music and they truly are the artists to watch. But I’m not biased or anything. Miley Cyrus: To this day I’ll never understand Miley Cyrus and it’s about time I stop trying. To send a formerly homeless teen up to accept her award was a bit strange but certainly served to shine a light on a bigger problem in the world. It was definitely very Brando winning the Oscar. Well, at least she was fully dressed, right? 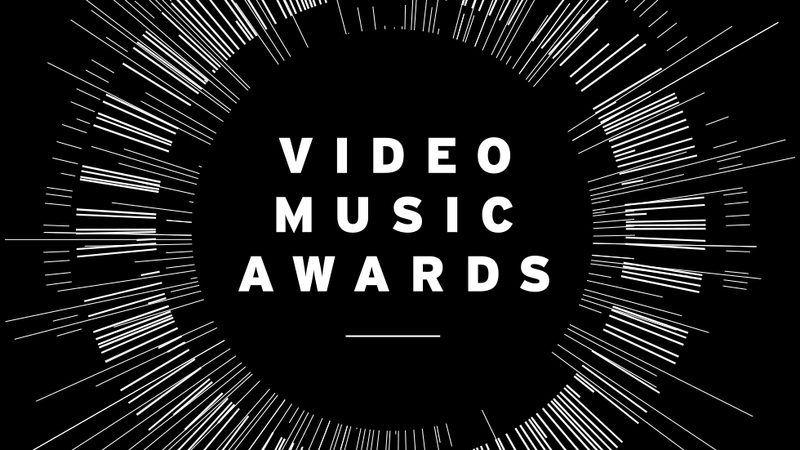 The Remixes: The VMA nominees are always terrible. Well, in recent years at least they have been. And every year there is a gimmick to introduce them during the ceremony. Usually a terrible graphic but this year they introduced a terrible graphic AND remixes. But I can’t complain about the remixes. They were actually brilliant. I’d actually love to listen to them in full. Best Rock Video: This year it’s less about the winners and more about the overall presentation. Whomever was introducing it made a point to mention one of the nominees was a woman. What bothered me about this was, it doesn’t matter a woman was nominated. In fact, I wish there were way more women in rock, but why single that out as a surprise. It just stuck with me for some strange reason. But hell yes, a woman won a category dominated by males. That’s great. Another thing, how is Lorde classified as rock? Frankly, she’s pop music if she must be labeled and there’s absolutely nothing wrong with that. I love her music so don’t get me wrong. It just seems to feel as though she was labeled rock due entirely to her appearance rather than on the merits of her music. Product Placement: The real winners of the VMAs were: Taco Bell, Trojan condoms, State Farm, and Beats. I’ve never hated four companies more. In the span of 2 hours I was thrown ads right and left which normally doesn’t bother me. I love ads…but only when they are good and simply put, none of these were. The video for the aforementioned “Bang Bang” was advertised during the ceremony quite a few times and the 30 second ad showed the Beats label at least 7 or 8 times. State Farm logos covered the stage and sides of the pre show which really was just an eye sore. I wonder how long it took them to regret sponsoring that terrible show. BeyMAs: The Michael Jackson Vanguard award is a prestigious award given to an artist who truly deserves to be honored forever. This year’s recipient was Beyonce. Queen Bey. She performed for a solid 16 or so minutes and it was stunning. Visually it was beautiful but there were plenty of things not to love. First, she strictly performed songs from her album XO. Don’t get me wrong it’s a great album but isn’t this intended to celebrate the career of the performer? Bey has enough songs to cover the world and back multiple times. It would have just been nice to see some of those alongside Partition and Drunk In Love. And then there was Blue Ivy who quite literally stole the show with her “good job, mommy” comment. If there was American royalty I might go as far as to say it very well may be the Carters. At least they had a pretty cool looking logo this year, right? Posted in Let's Chat, Thoughts and tagged 5 Seconds of Summer, Entertainment, Musings, Pop Culture, VMAs on August 25, 2014 by coffeeandwinter.